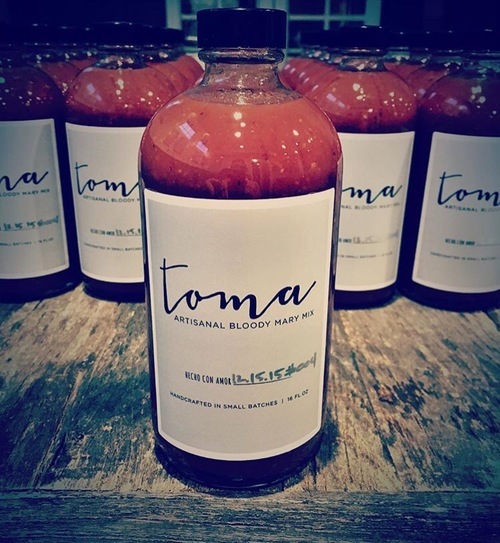 Toma believes that a Bloody Mary should be made from scratch, which is why their unique blend is made with their own chipotle tomatillo sauce, sriracha, and steak sauce. This artisanal blend, made from all natural ingredients, has a rich tomato flavor and a well-balanced heat profile that is peppery and smoky, but not too spicy. It is a perfect way to start your Sunday brunch!